Looking for a Donegal restaurant? Look no further than Cedars Grill. When we think of Irish cuisine we imagine potatoes, beef, cabbage, stews and more potatoes. So we were delighted to find that Cedars Grill takes their traditional Irish cuisine and elevates it with a modern touch. Cedars Grill at Lough Eske Castle Hotel and Spa creates a new image for Irish cuisine that is a force to be reckoned with. Located just outside of town, near Lough Eske Lake, Cedars Grill is Donegal, Ireland’s best kept secret restaurant. We are here to unravel their secret because the food at Cedars Grill is just too delicious to be kept hidden from everyone’s taste buds. Full disclaimer – We were invited to dine at Cedars Grill. As always, our opinions are non-biased and our own. Our post contains affiliate links. 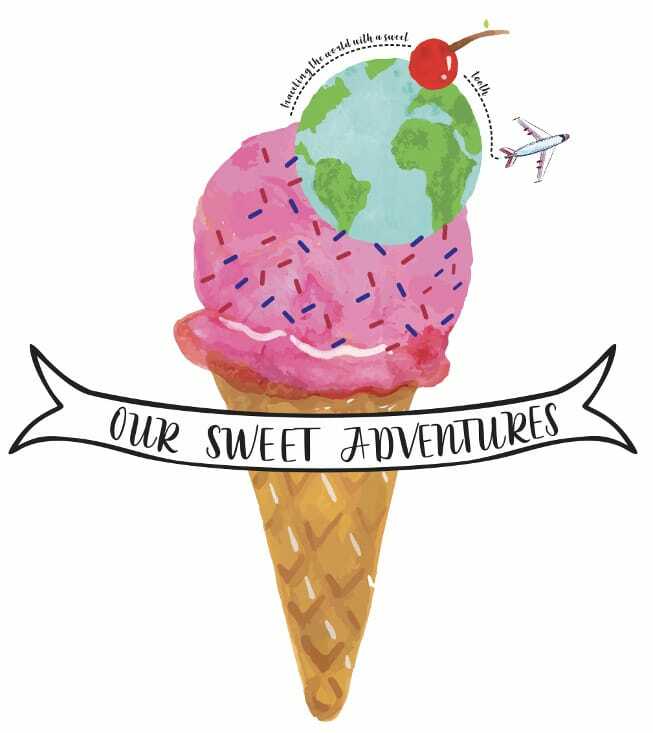 When you click on the link you will have the option to purchase a product at no extra cost to you, but we would receive a small commission We want to thank you for following and supporting us on all of our sweet adventures. Cedars Grill is open to not only hotel guests, but the public too. It is the best Donegal restaurant for locals and tourists. Guests have the option of choosing from the a la carte menu or a three course tasting menu. Cedars Grill offers guests contemporary dining, using local produce, meats, and seafood to create beautiful dishes. Guests will not find basic traditional Irish cuisine at Cedars Grill, but an elevated Irish cuisine using refined cooking techniques. Grill is in the restaurant’s name, so it goes without saying that they offer an outstanding selection of grilled beef options. With that being said, Ireland is well known for their happy cows providing some of the best beef in the world. So rest assured, Cedars Grill is the best restaurant in Ireland for a grilled steak. The team behind Cedars Grill is led by Chef Cedric Bottarlini, an acclaimed French chef who is known throughout Ireland for his incredible talent. He has worked in five previous restaurants in Ireland before making his grand debut at Lough Eske Castle Hotel and Spa in 2016. Since then, he has turned Cedars Grill into a foodie destination in Donegal, Ireland. His culinary creations are more than a plate of food, they are a plate of art. From his take on beetroot to two hearty meat dishes and an awe dropping dessert, you will see exactly what we mean by culinary art. The ambience at Cedars Grill has a relaxed, yet elegant atmosphere. When guests first walk in they are greeted by not only the host, but a lovely window display of their wine selection. Following the entrance are three dining rooms, all dimly lit with overhead lamps and a unique LED ceiling. The dining rooms have silver and orange accents and the tables are set with silver table runners instead of the traditional white tablecloth. As we said, Cedars Grill is a fine dining restaurant with a casual approach of elegant touches, which we really enjoyed. The best part of the entire dining room are the six unique upholstered orange booths. Though they can sit up to four people, they are the perfect table for a romantic evening. It is by far the coziest and most romantic booth we have ever dined in. The rumors are true, Ireland has the friendliest people in the world and they are all at Cedars Grill. We were greeted with the warmest welcome when we arrived. Though the host was not present at the front entrance, three servers walked by and not only greeted us, but assured us the host was on their way. Our server was very lovely. She helped answer any questions we had and if she did not know the answer she would find it promptly for us. Choosing what entrees we wanted to order was easy with her full description and honest opinions. We really wanted to find dishes with an Irish touch and she was very knowledgeable about their most well known Irish dishes. We both loved everything we ordered. She also directed us in the right direction of beverages. We tried a new Irish whiskey and the perfect glass of wine to pair with the lamb entree. Who does not love a great amuse bouche? It is a complimentary starter from the chef to start your dinner and set the course for the evening. Chef Cedric prepared a beautiful beef fillet with a passion fruit gel and crisp parsnip chips. The beef fillet was so tender and flavorful on its own that it did not even need the accompanied passion fruit gel, but a little extra flavor never hurts. The parsnip chips were amazing, if Cedars Grill sold bags of their parsnip chips, we would have bought them all. Our first course really set the stage for our entire dinner because it gave us a glimpse into Chef Cedric’s culinary vision. After a great explanation of the entree, we were sold and ordered The Beetroot. We were not disappointed, this appetizer blew us away. The Beetroot was essentially a play on a beetroot – the entree’s presentation looked identical to a beetroot that was just pulled from the ground. Adam is not a huge beet fan, so I was able to enjoy most of the appetizer all to herself and thoroughly enjoyed it. The “beet” is made with the local and critically acclaimed St Tola goat cheese. The goat cheese is encompassed by a layer of beet. The “root” is made of dark chocolate and Chef Cedric goes into the finest details by making marks on the chocolate. This small detail did not go unnoticed by us and it truly made it look like a root. Sitting beneath the beet is a coffee and cocoa soil giving the entree a very earthy flavor. Overall this appetizer blew it out of the park, if not Ireland. Though we would have enjoyed a grilled steak, we had our stomachs set on two main entrees – the Lamb Journey and the 12 hour Braised Beef. As soon as the plates were on the table, we were amazed by their presentations. Both looked like pieces of art. We were told from the restaurant manager that Donegal has the best lamb in Ireland. We also heard that Lamb Journey is a long standing entree that Cedars Grill cannot take off the menu. Now we know why, it is exquisite! From its beautiful presentation to every last bite, this dish stands out as a true winner. There are three parts of the lamb prepared in this entree, the loin, belly and rack. Each piece of lamb was perfectly seasoned and very tender. Though the lambs itself was very flavorful, it was accompanied by three gels, mint, lemon and pomegranate. Each gel brought a refreshing taste to the lamb to excite the palate. Along the plate were also some roasted parsnips, tomatoes and a potato for an earthy touch. Lastly, there were two slices of prosciutto for a salty finish enhancing all the flavors on the plate. Braising Irish beef for 12 hours is absolutely divine. The beef was so tender that we barely had to cut it with our fork. In addition to being cooked perfectly, it was so juicy it almost melted in our mouths. For an enriched flavor, the beef is paired with a luscious red wine jus. Plated beside the braised beef was an anna potato (thinly sliced potatoes) and a quenelle of parsnip puree. For additional balance and color on the plate were dollops of pureed spinach, roasted parsnips tips and tomatoes. When we would take a bite of the braised beef with any of the components, the dish would sing. I typically am able to nimble a lot on Adam’s entrees, but this time I was only able to get one bite because he LOVED this entree so much. We never miss out on the opportunity for dessert. After our previous entrees we were more excited than ever to try Cedar Grill’s desserts. Again, we were not disappointed. If guests are looking for that Instagram-worthy video, this dessert is it! The Chocolate Sphere is presented table-side with an engaged audience factor. As the name depicts, guests are presented with a chocolate sphere, but then the server pours a warm toffee chocolate sauce over the top of the sphere. The sphere melts away and opens into another dessert entirely. Inside the chocolate sphere is a Bailey’s Irish Cream parfait with a caramel-cappuccino crunch sprinkled on top. This dessert is a chocolate lovers heaven. The Bailey’s parfait helped balance the sweetness and richness of the chocolate. While the caramel-cappuccino crunch added a contrast of texture. The chocolate sphere sat on chocolate soil to keep the sphere from rolling around and the pistachio sponge provided a burst of color. Make sure your cameras are ready when this dessert comes to the table because you will want to savor every bite and moment! I cannot rave enough about Cedars Grill at Lough Eske Castle Hotel and Spa. Not only is it the best Donegal restaurant, but it is also inside a castle. Make reservations now and as a bonus, stay at the hotel, it is absolutely amazing and the best place to relax in Ireland. This is a great review of what appears to be a lovely (and delicious) dining experience. Amazing how much the charm of the people who are there contributes to an overall pleasant experience. The charm and atmosphere provided a lot for the experience. The art/food was incredible! We really enjoyed the dessert. It was a fantastic display. You should definitely pay them a visit. My mouth is drooling at that Bailey’s parfait! It looks incredible, and I probably would have looked at it for at least 5 minutes before devouring it! Irish people are super friendly, and I will definitely book a table here at Cedar’s Grill when I’m in Donegal. Everyone we encountered all over Ireland was extremely friendly and especially at Cedars Grill. The dessert was almost to beautiful to eat. Those upholstered booths look classy as heck! I think Cedars Grill is probably outside of my price range, but it would make a great splurge meal! As soon as we saw the booths we new we had to sit in it. I really feel like you would enjoy your experience there. We love when we go to a restaurant and the food is beautiful and also tasty. We have to be careful when we reread this post as it gets us hungry every time haha. As a pescatarian, I would skip the main course and stick to the appetizer and dessert. The beetroot with local St Tola goat cheese and dark chocolate sound interesting ! The way they set up the beet root was absolutely incredible! There were many times during the meal that we felt it was to beautiful to eat. Love the interior, and those food look like some art! Too pretty to eat. I really don’t know what ac donegal restaurant mean! Good to know about this place. The interior of the restaurant added a lot to the meal. The food was almost to beautiful to eat. We definitely enjoy the smaller dining rooms as well as they create a better atmosphere. The art/food was amazing. We would pay to see that on display. The food looks amazing and I guess it tastes great. I would love to visit this place. The food was like art and it was so beautiful. You should definitely go visit. This looks like an epic meal!!! Attention to details is apparent. If it tasted as good as it looks you were in for a tasteful treat. We were not disappointed at with any part of the meal. It was a great experience. All of that food looks so tasty and pretty, almost too pretty to eat! They prepared the lamb several different ways that you would enjoy. The restaurant would be perfect for a night out with friends. The chocolate sphere was the highlight of our night. Love this place – I was there over 20 years ago when it was an absolute ruin and have been back many times since. In fact the whole area is where my heart is. The food is superb and worth the money although I discovered I can eat the same in the bar for less…lol..must be the Scottish in me. Staying overnight is also an absolute treat as well. We definitely loved how beautiful the entire area was. I think it would be cool to see the transformation from then to now. This looks amazing! That dessert is to die for!! I’ll be sure to put this on my list for my next trip to Donegal. The desserts were amazing! You should definitely go enjoy the entire area when you can. As a foodie I deeply enjoyed eating in Ireland. As a meat eater I was actually blown away. The meat is beyond delicious. I am a great appreciator of beef, less of lamb, but I would definitely give the lamb at Cedar Grill a try! The meat we had all over Ireland was incredible. The meat at Cedars Grill was top notch though. This place seems so cozy and the food looks so inviting! OMG and the chocolate sphere! We had an incredible experience for sure! The atmosphere was very cozy and made us feel right at home. The fact that it is in a castle is even better. I would definitely go there for the chocolate sphere! The way you described all the items just makes me hungry. Cedar Grill seems like a perfect restaurant if one wants to relish on Irish cuisine. You really get a feel of the Irish atmosphere when you visit here. The chocolate sphere was really cool to see and eat! You wrote a beautiful review of this restaurant. I think that this blog will help promotes more the Cedars grill restaurant. I love all your photos and I admire how the restaurant was managed by friendly people. This restaurants is really commendable. I hope that all restaurants in Ireland are like this one. Every restaurant we came across in Ireland was very nice. The Cedar Grille was our first experience and it was incredible for sure. They do an amazing job of making us feel at home. And why do I always look at the dessert menu first? Because it has delights like the one at the end of your post. What a lovely restaurant that is, and the entire experience seems so perfect. The ambience is just right too. Several times in the past we went to a restaurant just for the dessert haha. Thanks for sharing. This place seems like a dream. That braised beef looks so good. Definitely a place to stop if I visit Ireland. The meat for both of our main courses was very well prepared and tasted amazing! You should definitely go here when you pass through. Thank you so much for this review, it really looks like a great place to eat. I really shouldn’t have read this while hungry! This restaurant had everything we wanted. Great food, Great Ambiance, and Great service. It was all made better while in a castle. That beef filled with passion fruit gel sounds super interesting! So good to know that this restaurant provides an upgraded touch to the traditional country cuisine! I didn’t know that Ireland was good with beef and I’m a huge fan so I will have to visit! I love the video of the dessert! How artistic and creative! Yummy! You made me so hungry now! We were not aware of how well they prepared meat either. The pride they take in their animals definitely adds in to the flavor. Every aspect of our meal was beautiful and almost to good to eat. Ambiance of the hotel looks perfectly beautiful and meals looks wonderful too. Hope you enjoyed there. Thanks for sharing. It was such a great experience. The whole area was fantastic. I was drooling reading through your post and looking at all these amazing photos of yummy food. I am in Ireland next year, I will be definitely checking out this restaurant. Definitely check out the rest of our posts about Ireland when you have time. The whole country is amazing!